Virtually all of us have a family member or friend who has been diagnosed with cancer. But do we really know how to help? Reflecting on her own journey with cancer, June Hunt offers “practical, yet overlooked ideas” to help caregivers walk through the journey with those they love. Caring for a Loved One with Cancer begins with the first doctor’s visit and moves through nearly fifty short, single-topic chapters with practical application. These include offering to communicate progress and needs, keeping a record of remembrances, making a chart for medication, fixing food that helps with healing, and others. Additional chapters cover tips for helping children through confusion, dealing with issues related to cancer treatment, discovering important “don’ts,” and what cancer cannot do. 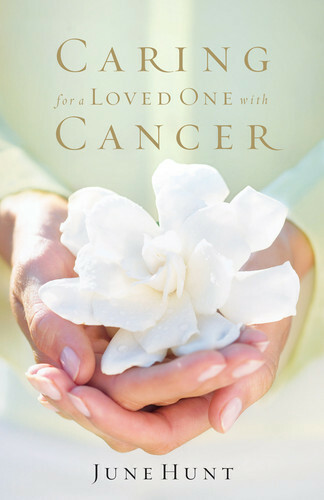 Specifically written for those caring for loved ones battling cancer, this book can also be used by those coming alongside anyone suffering from a debilitating illness.